More limited edition collector fragrance bottles, with the usual disclaimers: in most of these cases, the juice is unchanged, just the bottle is “special” (or not, as the case may be), and some of these may not be available in the US. 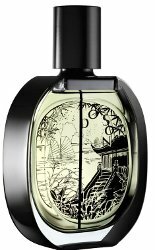 Today's post includes collector editions from Lalique, Annick Goutal and Diptyque; plus a new Parfum concentration of Tory Burch. From Annick Goutal, Holiday 2015 versions of Eau d'Hadrien (left) and Nuit Étoilée (right). $182 each for 100 ml at Saks Fifth Avenue. 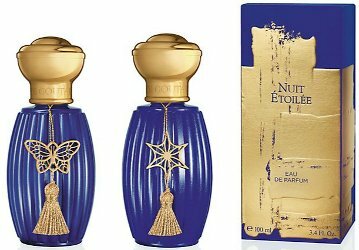 There is also a blue and gold bottle of Petite Chérie, and I believe there is also a masculine (square) version of the Eau d'Hadrien in this collection. 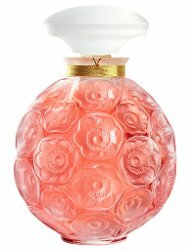 From Tory Burch, her signature fragrance in Extrait: "The perfume is the most concentrated form of the first Tory Burch fragrance. The scent captures classic elements in unexpected ways. Feminine and tomboy. Easy and polished. Floral peony and tuberose blend with crisp citrus notes of grapefruit and neroli—anchored by earthy vetiver. The long-lasting, intense concentration magnifies the statement notes, making them richer and more complex." $325 for 15 ml at Bloomingdales. $325 for 15 ml of Tory Burch? Really? Apparently it is selling really well — so guess this will too! I wouldn’t pay anything for it. I think most extraits are 30ml? At $650 an ounce, it makes all the Guerlain and Chanel extraits look like bargains. I liked the edp, but it was never going to make my buy list. I liked the Absolu a little more, but still didn’t need a bottle. But then I saw a mini set of both at Sephora last week for $18. I think we have a winner. Older ones were often smaller…my Bois des Iles is 15 ml. I bought the $18 mini set for my niece. I find them nice, but not me. And let’s see – will I pay $315 for 1 oz. of Shalimar, $245 for .5 oz of 24 Faubourg, $200 for 1 oz. 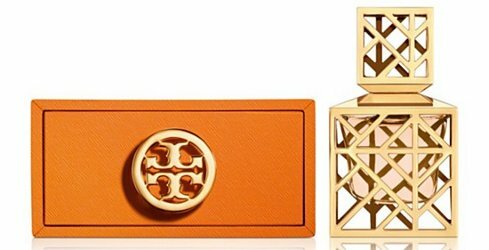 of Basier Volé Extrait, or $325 for the Tory Burch? No contest, but I will slip the price of this on my Christmas wish list; so my SO will appreciate how thrifty I am being. I really don’t like the look of that Lalique bottle. That Tory Burch Bottle is SPEAKING to me!!!!! It is, STUPENDOUS! Just Glorious! Tory Burch is one of my Favorite Recent Scents of the last couple years… it’s So Wonderful… As for the Lalique… Kill Me Now! Heaven! Simply Heaven! That Do Son Diptyque bottle is pretty High on the Desire list too!